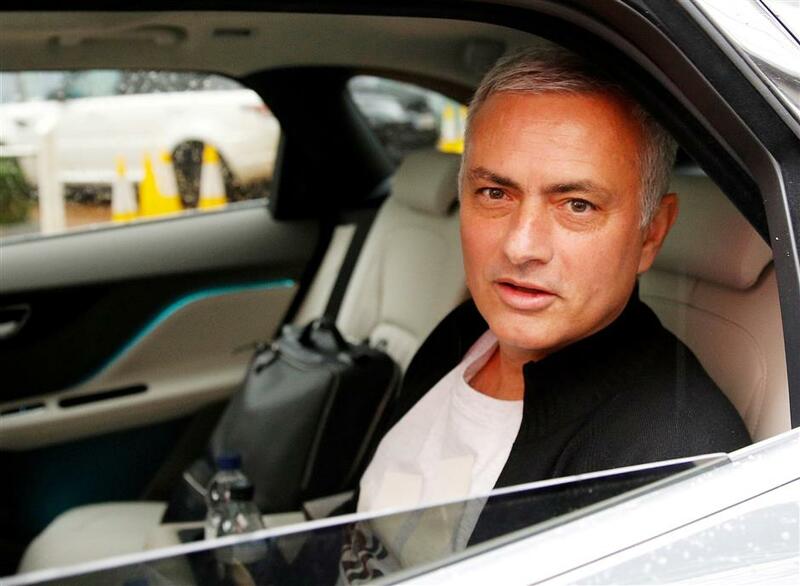 Jose Mourinho is driven away from his accommodation after leaving his job as Manchester United manager, in Manchester in this December 18, 2018, photo. Jose Mourinho wants his next club to be one where "internal empathy" exists and not "internal conflict", he told the Daily Telegraph on Tuesday. The 56-year-old Portuguese — sacked by Manchester United on December 18 after a series of bust-ups with senior players and poor results — said the club where he had felt this the most was Serie A side Inter Milan. He guided Inter to a UEFA Champions League, two league titles and an Italian Cup in two seasons there from 2008-10. Mourinho said money is not the priority, admitting that since he left United he had turned down a lucrative offer from an unnamed club because "I want high-level football and ambitions at the highest level". However, he says that comes second on his list of ingredients for taking a job. "I don't want an internal conflict," said Mourinho, who has down the years earned a reputation for confronting senior players at clubs he has managed. "I want internal empathy. And then your conflict is on Sunday on the pitch when you play against somebody who wants to steal your three points. "That's the moment of the conflict." Mourinho, who enjoyed a good first season with United landing the Europa League and League Cup before things turned sour winning nothing last year, says structural empathy is obligatory for him. "I don't know if it is a bad translation from Portuguese to English but focus on these two words, 'structure' and 'empathy'," said Mourinho. "I want to work with structural empathy. A club is a structure, a complex structure where the manager is an important part of that structure but he is not the structure. "I want to work with people that I love. "People I want to work with, that I am happy to work with, with whom I share the same ideas. Mourinho, who says he does not want to work where there is "permanent contradiction (conflict)", said he is a natural winner but concedes going 18 months without a trophy has taught him things. "People used to say that you learn more with defeat," he said. "Maybe there is some truth in it. I feel my natural habitat is winning. "This is the first time when I didn’t win any trophy for 18 months. "Some guys don't win any trophies for 18 years. I didn't win any trophy for 18 months." Mourinho, who stunned many when he paid a warm tribute to long-time bitter rival Arsene Wenger, former Arsenal manager, at an awards ceremony last week, said aside from some football punditry he has spent the time since being sacked by United to prepare for his next job. "Now I have time for thinking, reflection, trying to understand everything and trying to be more ready for the next one that is coming," said Mourinho. "I know it is coming. It hasn't come yet because what has come along, I didn't want."